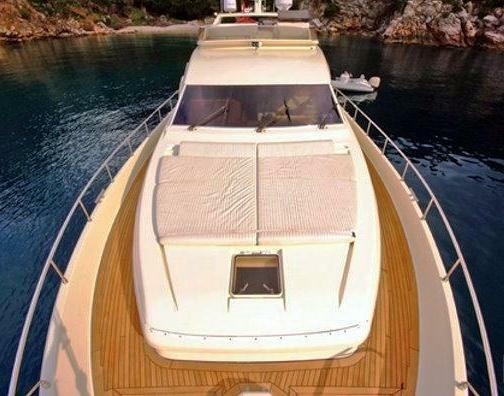 Motor Yacht SPLENDIDO is a luxury yacht built by the respected builders Ferretti yachts in 1999. 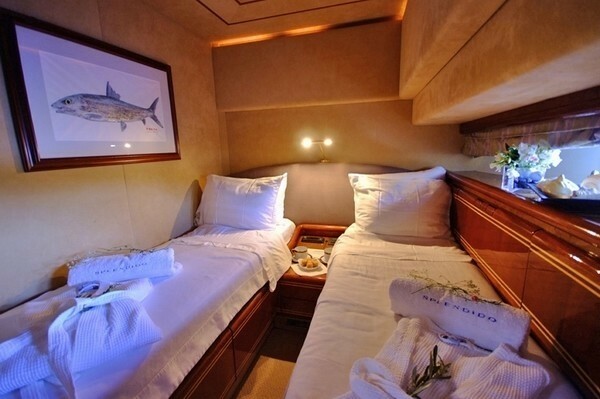 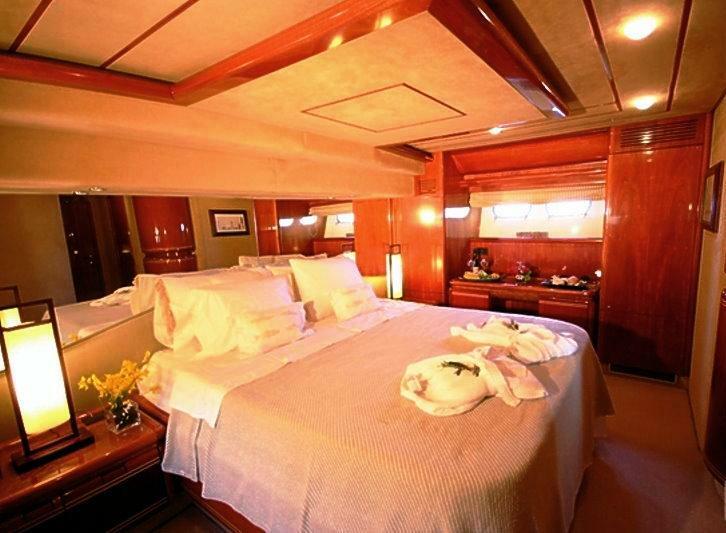 Splendido measures 25m (82 feet) in length and is able to accommodate up to 8 guests. 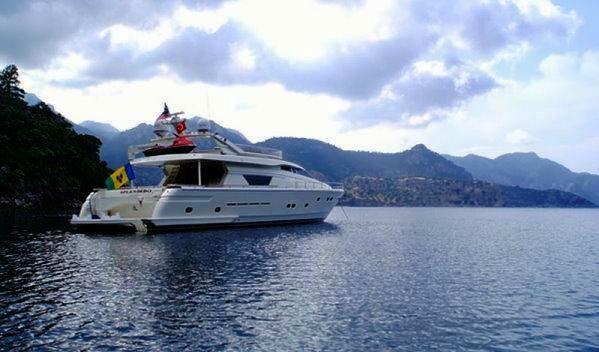 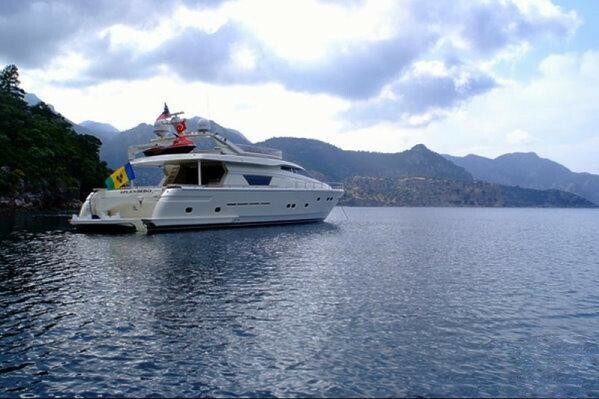 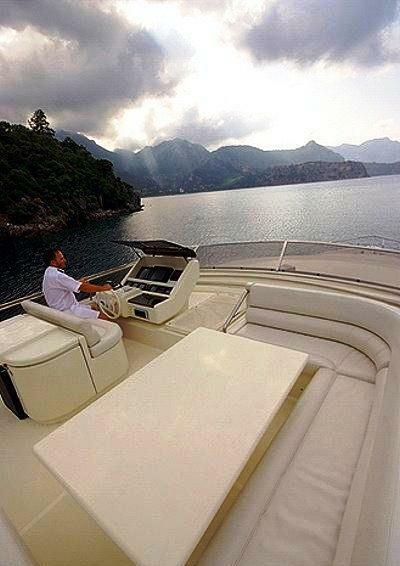 The yacht is based in Marmaris, Turkey, and is well equipped for yacht chartering with air conditioning throughout. 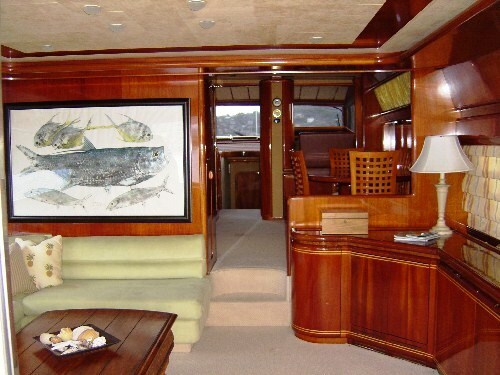 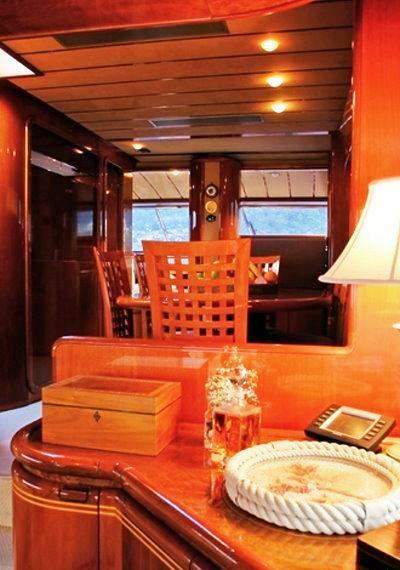 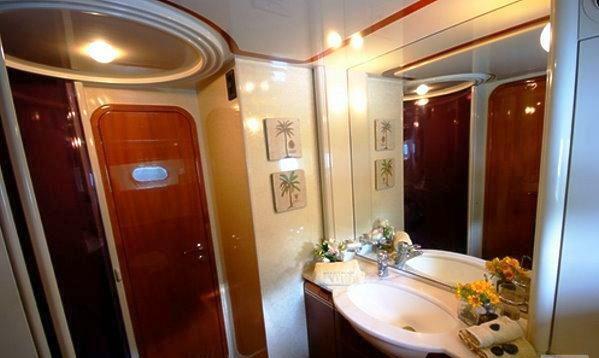 M/Y Splendido has a classic and elegant interior with high gloss light wood throughout. 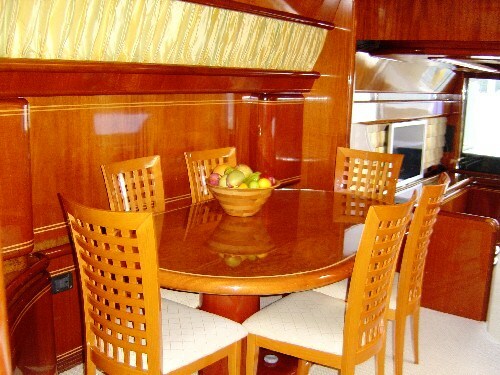 She has a good sized and comfortable main salon with a separate dining area. 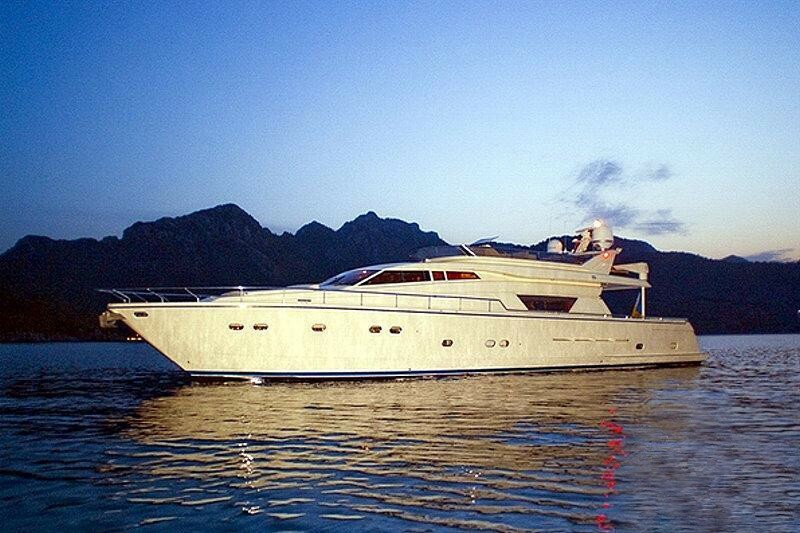 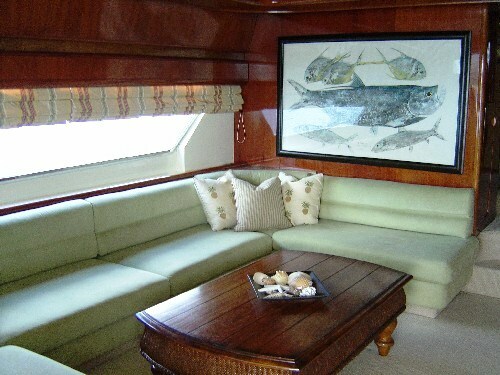 Splendido is in excellent condition having been well maintained and having had two refits in 2005 and 2008. 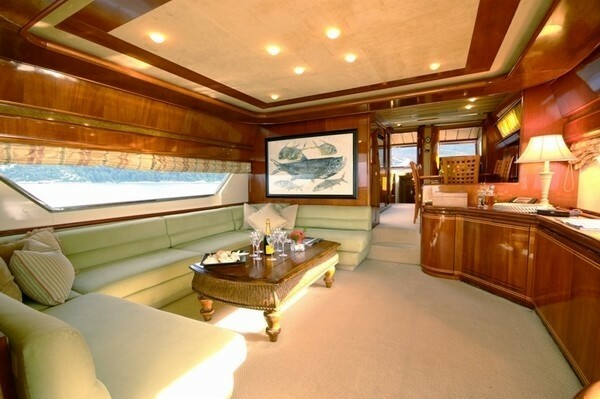 The Splendido motor yacht has good deck space forward with ample sun pads, and the aft deck has a table and comfortable seating for alfresco dining. 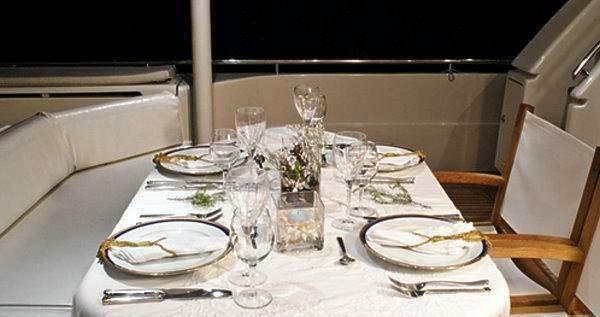 Splendido also has a good sized fly bridge with further seating where guests can take in the view and enjoy the BBQ. 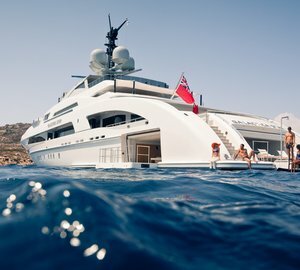 The swim platform gives you easy access to the water, so you can board the Jet ski effortlessly, or leap into the water for a spot of snorkeling. 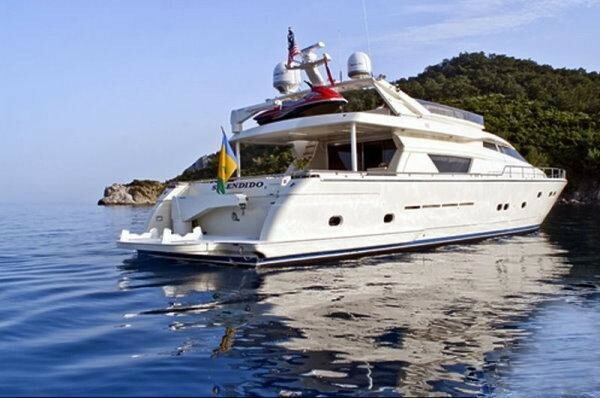 The Turkish charter yacht Splendido offers plenty of indoor activities for the kids, including WiFi / Internet, Local TV, DVD Library, CD Library, DVD, Stereo, and a range of board games. 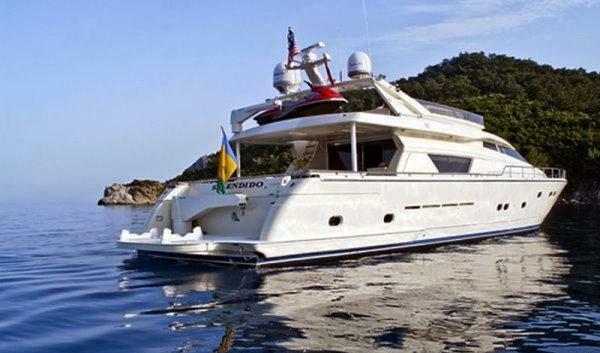 The motor yacht Splendido also offers a range of water sports, including a tender (details?? 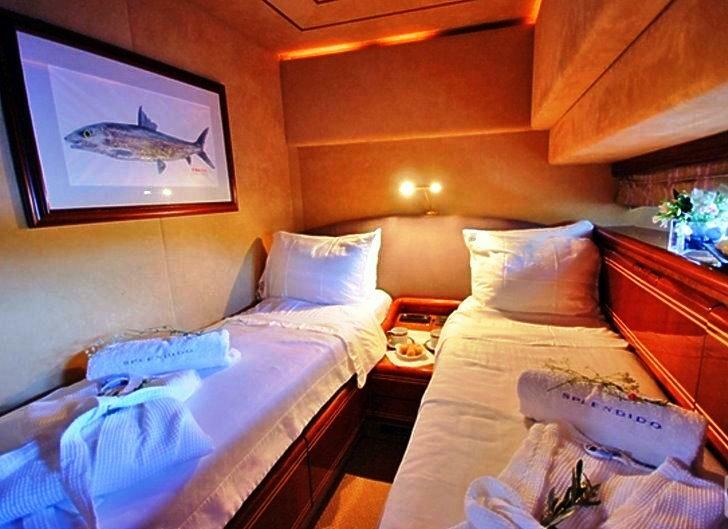 ), a Jetski, Fishing Equipment, Water skis (adult), Snorkeling, and rendez-vous diving by appointment. 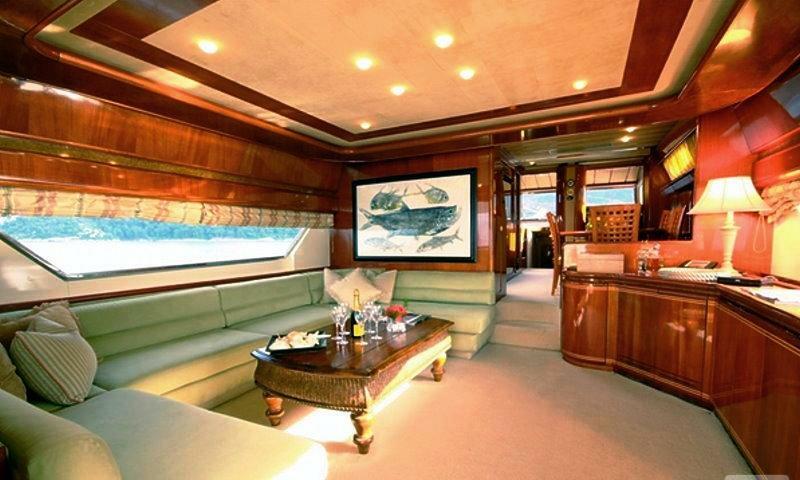 Splendido also has an ice maker and water maker and is fully air conditioned throughout. 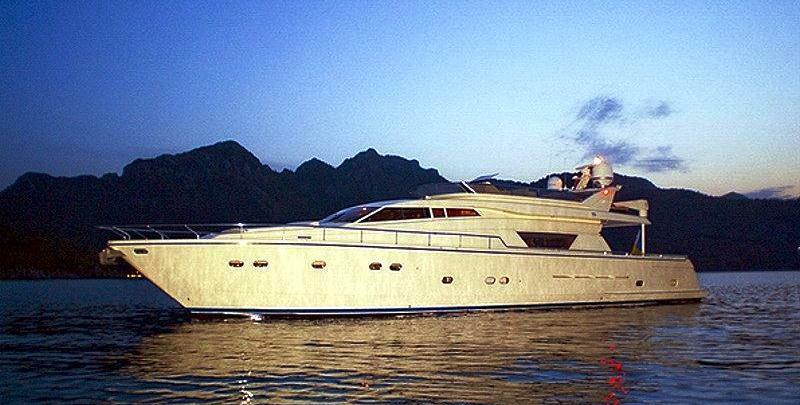 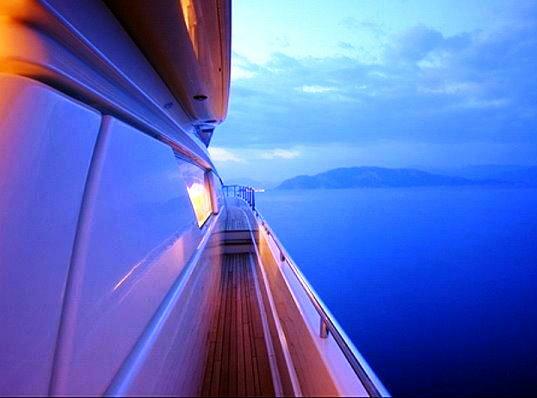 Charter Yacht Splendido is 25m in length (82 feet), with a beam of 6m and a draft of 2.48m. 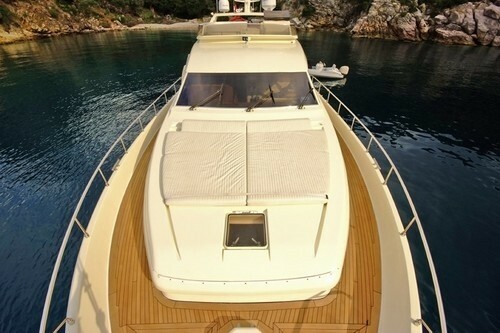 Splendido cruises at an average speed of 17 knots. 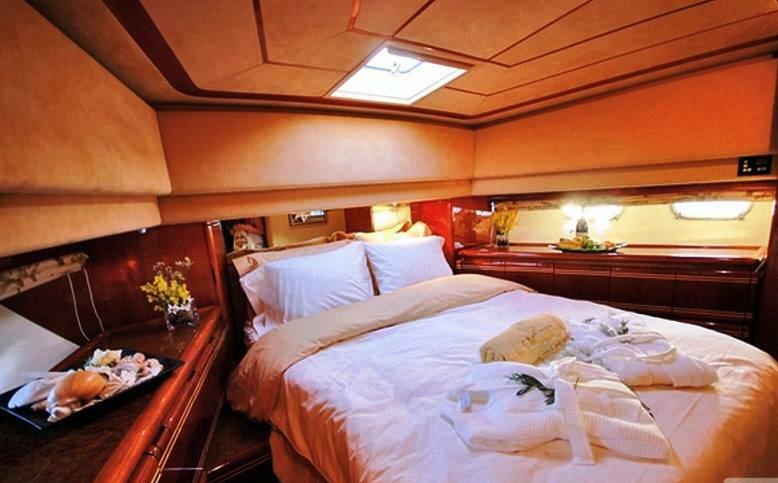 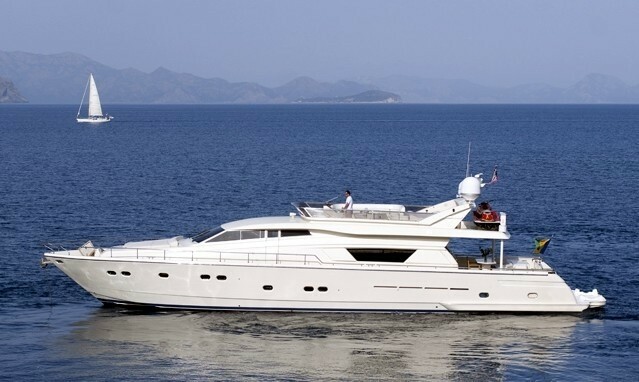 Motor yacht SPLENDIDO can accommodate up to 8 guests in 4 cabins. 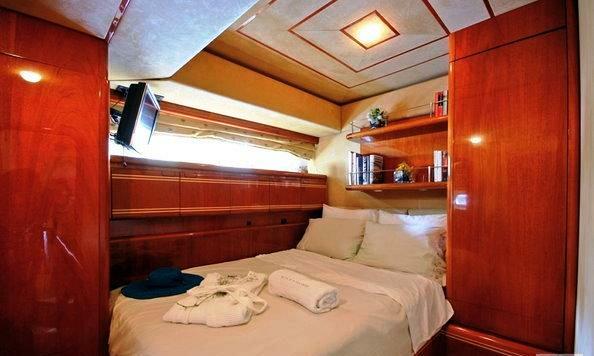 The full width Master cabin aft has a king size bed, with en suite shower and toilet. 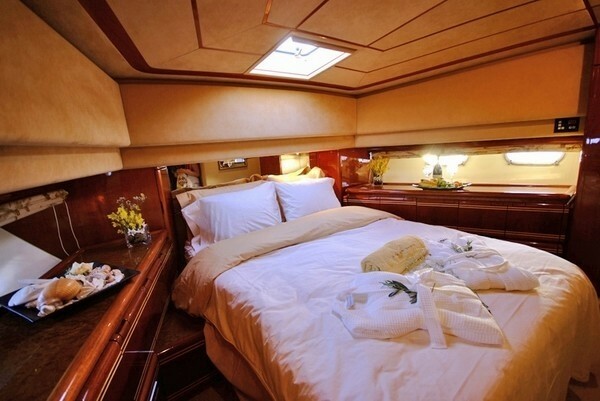 A further full width VIP cabin forward has a queen size bed, with en suite shower and toilet. 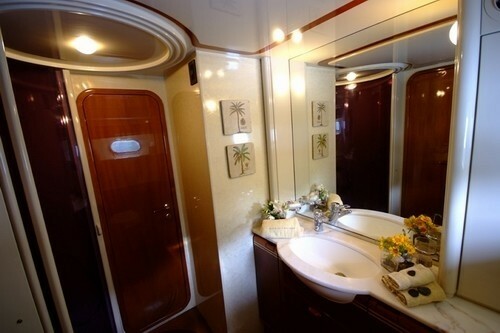 One Guest cabin has a queen size bed, with en suite shower and toilet, while the Twin cabin (convertible to a double) also has its own en suite shower and toilet. 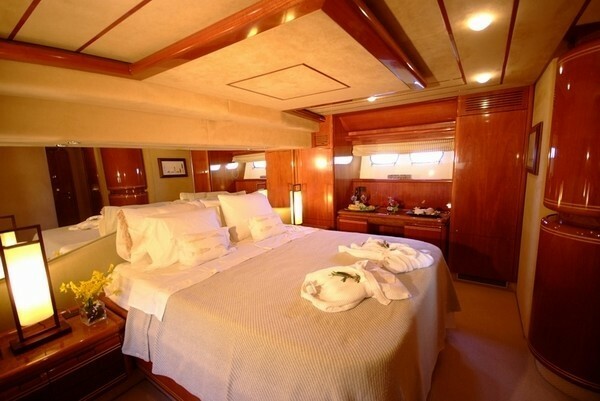 SPLENDIDO´s crew has separate accommodation with dedicated head and shower. 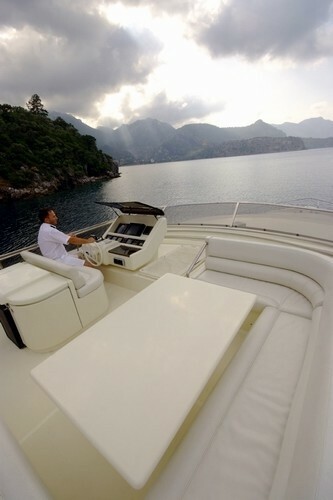 Motor yacht Splendido has a good range of extras for onboard entertainment for guests to enjoy while on charter, including: Cell Phone, WiFi / Internet, Local TV, DVD Library, CD Library, DVD, Stereo, and a range of board games. 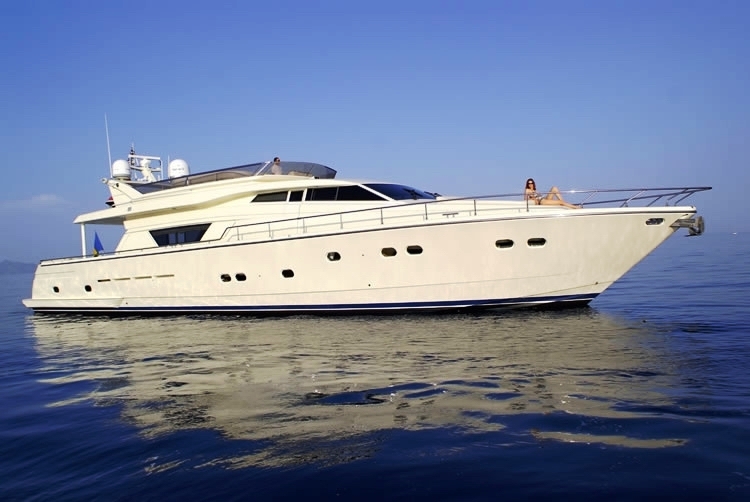 Splendido also offers a range of water sports, including: 1 Jetski, Fishing Equipment, Water skis (adult), Snorkeling, and rendez-vous diving by appointment. 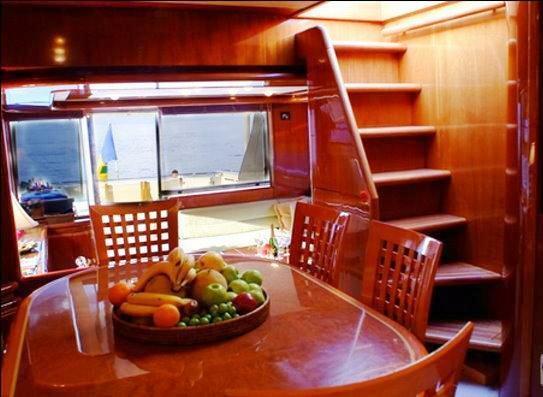 Splendido also has an ice maker and water maker and is fully air conditioned throughout.